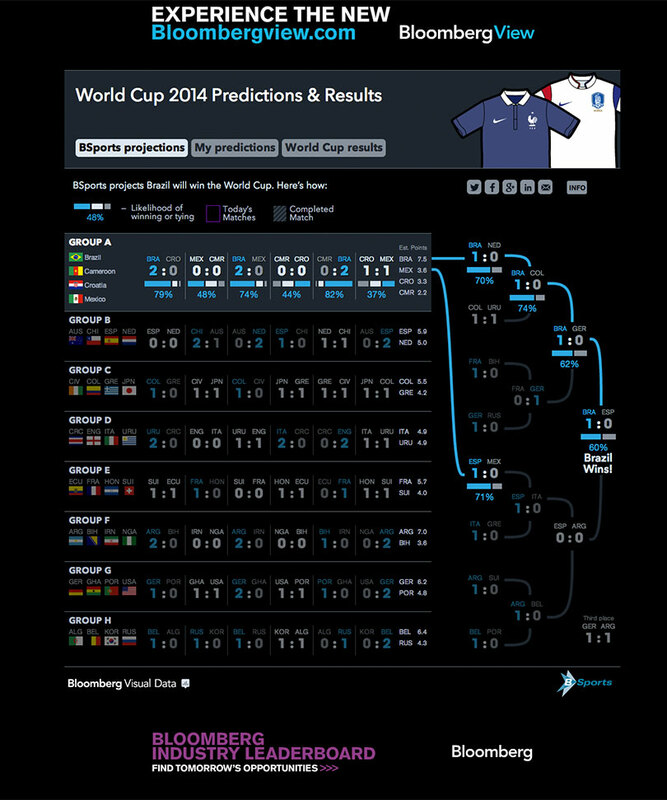 Bloomberg's Bsports division projects the World Cup bracket -- and determines that Brazil will take home the trophy -- in this interactive chart. (You can see a static bracket here.) BSports assigned each national team a "rating" last year, then simulated each match 100,000 times to create a statistically probably projection of potential outcomes. That decided what team would beat the other. You can of course use the projections as a starting point, predict your own match outcomes, and then watch the tool apply the BSports odds to your projections as well. The chart will recalibrate as the World Cup progresses.